A team from art organisation WAVEparticle, who specialise in creative community engagement, went out onto the streets of Glasgow over Tuesday 6th and Wednesday 7th September 2016, inviting people to share their ideas to help shape the future plans for the city centre. This film is a reflection of the focused on-street engagement that took place in the area of the Broomielaw . With the aid of a 7sq metre map of the city centre, a Postcard From The Future (which invites people to imagine Glasgow in 10 years time) and a bespoke interactive (Y)our City Centre online survey, we invited people’s views on, for example, the Broomielaw riverfront, the impact of the M8 and how well connections work north-south, and east-west. This film captures portraits of the people we met, along with their impressions, observations and analysis of the city where they live, work or are visiting. It also captures a sense of the locations we visited, including Waterloo Street, Wellington Street, the pedestrian area at Tradeston Bridge and outside Anderston Rail Station, under the M8. 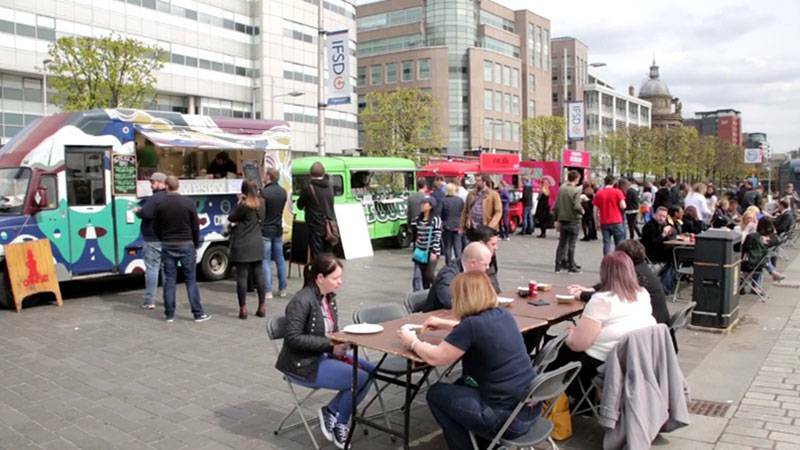 (Y)our City Centre Glasgow – Broomielaw – 2016-HD from (Y)our City Centre on Vimeo. The WAVEparticle team would like to extend a warm thank you to everyone who took the time in their busy day to stop and talk with us and share their thoughts about the Broomielaw and their ideas for the future of (Y)our City Centre.